10929 W BROWARD BLVD PLANTATION, FL MLS: A10482441 | 3/3 Townhome for sale in Plantation! Certified Pre-Owned home. Includes a FREE 12 Month Home Warranty Insurance Policy. Pre-inspected, certified to close for a mortgage. Mortgage inspections are completed & repairs made – ready to close. Call (954) 999-5207 for immediate attention. Here are the driving directions from our office in Sunrise to 10929 W BROWARD BLVD PLANTATION, FL. Call (954) 999-5207 for immediate attention or visit our website and see all our homes for sale. We are Local Real Estate Agents serving Sunrise, Davie, Weston, Coral Springs, and Plantation, Florida. Roof/repairs are covered by the homeowners association. 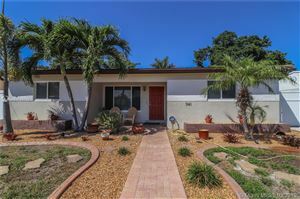 10929 W Broward Blvd is located in Jacaranda neighborhood in the city of Plantation, FL. Call (954) 999-5207 ask for Sherry or Barbara or let a 5 County Real Estate agent assist you in buying or sell your homes and commercial properties in Plantation, Sunrise, Weston, Coral Springs, Key Largo and all of South Florida. Plantation is located at 26°7′28″N 80°14′58″W (26.124354, −80.249503).According to the United States Census Bureau, the city has a total area of 22.80 square miles (59 km2), of which 21.74 square miles (56 km2) is land and 0.19 square miles (0 km2) (0.87%) is water. DHL‘s World Headquarters for the Americas is located in Plantation. American InterContinental University is located in the area, along with the University of Phoenix, located on North Pine Island Road. The Esperanto language institute headquarters are located in Plantation. Avianca operates a Fort Lauderdale-area sales office at 262 South University Drive in Plantation. The city is also home of TradeStation broker. 5 County Real Estate is proud to serve the following areas: Sunrise, Plantation, Davie, Tamarac, Coral Springs, Davie, Weston and Hollywood plus Fort Lauderdale. Sherry Fell built this real estate agency on the belief that her clients are entitled to the highest level of integrity and the most up-to-date knowledge of the market and real estate business possible. Also, after experiencing many moves herself she understands first hand–that a QUICK RESPONSE and OPEN, TIMELY COMMUNICATION are critical to effectively serving her clients’ needs. As of 2010, there were 37,587 households, with 9.0% being vacant. As of 2000, 30.9% had children under the age of 18 living with them, 52.0% were married couples living together, 11.2% had a female householder with no husband present, and 33.2% were non-families. 25.8% of all households were made up of individuals and 8.5% had someone living alone who was 65 years of age or older. The average household size was 2.48 and the average family size was 3.02. As of 2000, in the city the population was spread out with 23.1% under the age of 18, 7.1% from 18 to 24, 32.0% from 25 to 44, 24.7% from 45 to 64, and 13.1% who were 65 years of age or older. The median age was 38 years. For every 100 females there were 90.6 males. For every 100 females age 18 and over, there were 86.2 males. The City of Plantation is served by Broward County Public Schools. Welcome to 5 County Real Estate. Call (954) 999-5207 for immediate attention or visit our website and see all our homes for sale. We are Local Real Estate Agents in Planation, Florida and we trust you will enjoy browsing through our videos of houses for sale in Plantation and all of Broward County. We are always available to assist you in finding the right home or commercial property for you or if you are interested in listing real estate for sale with us – we are you ‘go to’ team.